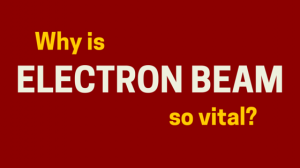 Electron Beam Vital — Energy Sciences, Inc. There are different processes, technology, and machines that are commonly available in the marketplace that are used to print, laminate, and cure a wide variety of different products. The consumer is driven by what looks the best, and by the quality of the purchased product when they use it. If they pull a bottle of cold water from the refrigerator, for example, the label needs to be scratch resistant, as well as hold up through condensation and temperature changes. The manufacturers need to ensure their process will stand the test of time when it gets to the market place shelves, so the product sells and the consumer is satisfied. For decades, electron beam curing and printing has been the optimal method for productivity and profit. To begin with, there is less material waste with EB. Since the operation is simplified, manpower is reduced, along with general operating costs. An increase in quality is also a major factor when it comes to electron beam. In almost every single dimension, eBeam results in a better final product. Electron beam technology is also safe, and operates on a green platform, eliminating VOCs and unnecessary thermal dryers in between printing stations.